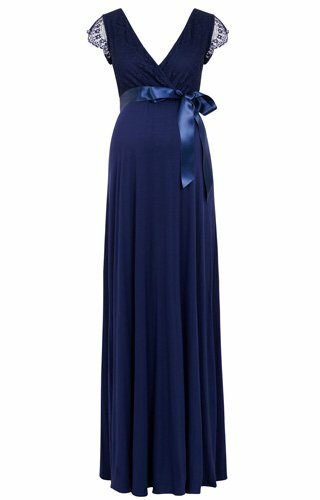 A truly elegant dress with flattering cross over bust, a statuesque floor length skirt in richest jersey and delicate lace capped sleeves with scallop detailing to lend a romantic flourish. The perfect colour for evenings, in a sleek cut with a richness of detailing to add show stopping glamour to any occasion. Limited sizes left! 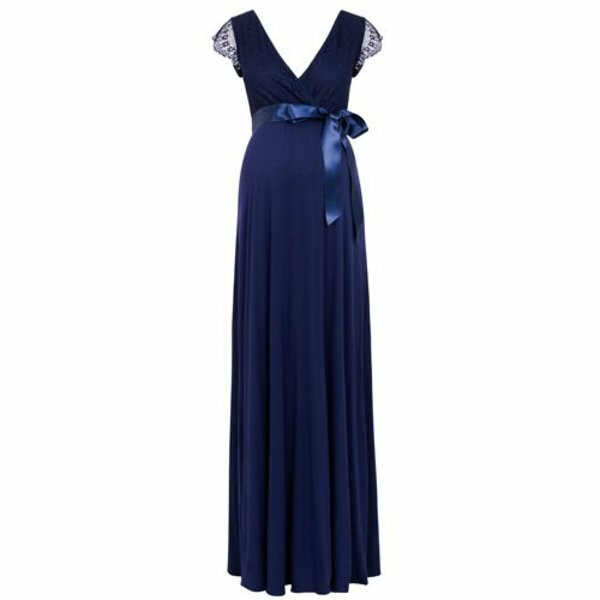 Vivaciously vintage, our popular Rosa Gown in rich Indigo Blue is now available in an effortlessly, glamorous floor length variation.